In the long run if there is one key variable that determines the return we make on any stock, it is the earnings growth of that company. Earnings can grow through growth in sales, sales-mix change and profit margin expansion. However, it is the first variable; sales, that is most important in the long run as the other two for practical reasons cannot improve forever. So to determine sales growth potential for a prospective investment, it is crucial to understand the drivers of sales growth and the tailwinds of the industry, if any. This post is an attempt to put a framework to understand how categories move; a category is a sub-segment within an industry; for example electric two-wheeler is a category within the larger personal mobility industry. 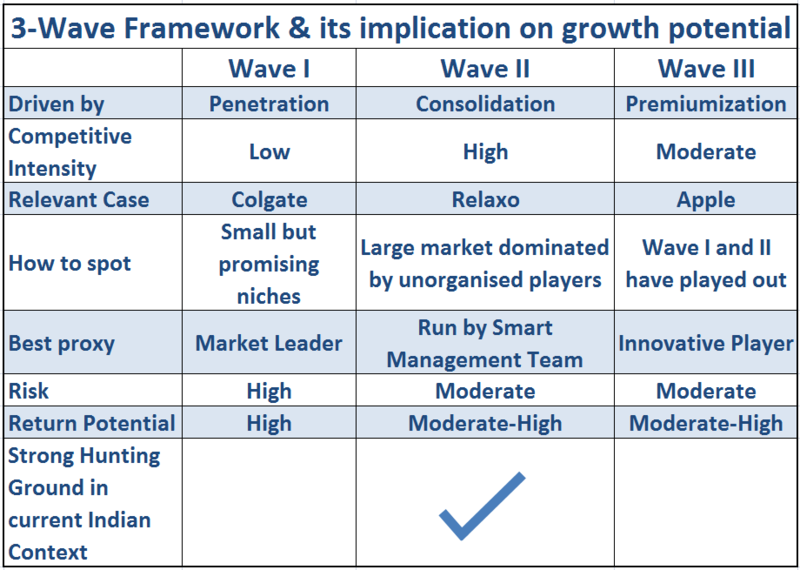 One can use this framework to identify ideas top-down or classify a particular company in one of these ‘Waves’ (stages) to judge the real drivers and potential for growth. Either ways the idea is to help us identify and chose the right hunting ground where there is a higher probability of finding long-term stories. Penetration simply implies the reach of a product or service to its intended customers. Colgate-Palmolive had setup its operations in India in 1937; a time when Indians did not even know the concept of dental cream. 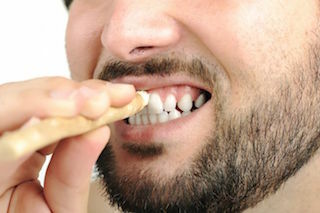 Indians instead cleaned their teeth with twigs, most often from oak, neem and coconut trees (a.k.a ‘datun‘ or ‘miswak‘), which implies penetration of oral care was negligible i.e. very few households in India were aware of dental cream and were using it. 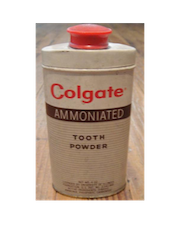 In 1949, Colgate launched Toothpowder and toothbrush however the acceptability of even these were negligible. With launch of Dabur Dant Manjan (powder) in 1970, Dabur also forayed into oral care. 1994: Colgate was already spending ~10% of its sales on advertisement and sales promotion. And, given its first mover advantage and brand recall, Colgate was market leader with a lion’s share in the category. However, the sales were just Rs 550 Cr. which implies oral care category itself was still a tiny one. Fast forward to 2015: Penetration of oral care in Urban India stands at 92% and Rural India at 75%, which implies 92% of the households in urban India and 75% households in rural India use some sort of toothpaste and toothbrush for oral hygiene. The result? Colgate’s annual sales have now increased to a mind-boggling Rs ~4,000 Cr. from a single category of oral care, translating into a market share of 57%. It took decades for the penetration to come up to these levels, however the result is a Rs 7,000 Cr. category which was literally non-existent when Colgate first came to India. Bata founder Tomas Bata visited India in the late 1920s to source rubber and leather for his footwear factories. He saw a number of barefoot Indians and realized there was a huge market in the subcontinent, too. The Indian footwear market in the 1920s was very small and mostly dominated by Japanese imports. 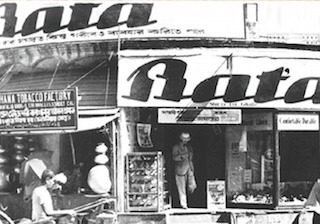 So Bata Shoe Co. set up a factory in Batanagar near Kolkata in 1931. It started producing rubber & canvas shoes for the first time in India. By the end of 1936 it started producing leather footwear. It is still one of the largest and oldest Bata factories – producing millions of closed shoes, dress shoes and open sandals. By 1939 it had nearly 4,000 employees and 86 shops. It was selling nearly 3,500 pairs of shoes per week. The first India-made shoe machine was produced by Bata in 1942. Today, footwear is a Rs 35,000 Cr. industry with 30% share of organized and rest served by unorganised players. Bata with its annual sales of over Rs 2,000 Cr. is the largest branded player with ~20% market share of the organised market and 1,300+ company owned stores. Until 1992 it was a monopoly of MTNL wherein households had to wait for months sometimes years before they could get a landline telephone connection. Then came wireless players like Airtel, however due to exorbitant rates (even incoming was chargeable at Rs 16 per minute), the service was restricted to elite population. Barely 5-10% of the population could afford a wireless connection until turn of the century. What happened in the next decade? The penetration levels went up so dramatically that today even rikshaw pullers and housemaids have a cell phone, many of them even carry a dual-sim phone. There are end number of such categories where India saw this wave over last few decades, including soaps and detergents (HUL & P&G), sanitary pads (P&G & J&J), instant noodles (Nestle) and more recently in smart phones (Samsung). The market leader in that category. Colgate, Bata and Airtel were all market leaders in those small niches which eventually made them multi-billion dollar enterprises when niches became large markets. Better if it is a focused player and not diversified. How to spot this wave? Look for categories where market size is small; under half a billion dollars. Using qualitative insights, we then have to judge if any of these categories could become big over next decade or so. Look at countries like China or US which are a decade or two ahead of us and see historical trends there. If you have spotted a category which is few 100 Cr. in India but billion dollar in China or US, it could be a good starting point to dig deeper. The underlying reason could be anything, for example skin care in India as a category is still in its nascent stages and is probably available only to upper middle class and elite in Metros and Tier I cities. With increasing disposable income and more of standardized affordable services, can this gap be bridged and penetration levels go up over next decade or two? Similarly, think of electronic appliances. With availability of power in rural India, improving quality of power in Tier III-IV cities and more women preferring to study and thereafter work, can penetration levels go up? With Mobile wallets and Aadhar system, can penetration for financial services go up? With this wave emerges some very interesting long term stories with potential to create massive wealth. However, once the wave has played out and category penetration levels are high (more than 75%), incremental growth will be challenging. Industry growth might slow down to 10-15% in value terms and single digit in volume terms fueling competition among players for higher market share. For instance, Oral Care category has penetration levels at 92% in Urban and 75% in Rural India, so from here on you cannot expect industry to consistently grow volumes in double digits anymore. Further, since Colgate already enjoys 57% market share, growing faster than industry by winning market share of competitors is equally difficult. Colgate today spends 20% of its annual sales on advertisement and sales promotion, but this is primarily to defend its market share rather than winning more. And looking at recent Oral-B toothpaste saga (launched in 2013 and close to being withdrawn from market), it is evident Colgate is doing a good job in defending its market share. But from here on stocks like Colgate (in its present avatar) could most likely clock an earnings growth of 10-15% which might make it look good for risk averse endowment and pension funds but this means nothing for an enterprising investor. The essence lies in identifying and backing the next ‘Colgate’. Once category makes in-roads to most of its intended audience i.e. penetration levels are decent, the industry growth slows down to reasonable levels. The sustainable growth depends on various factors, for example in case of utilities, like power, it could be less than the real GDP growth rate, whereas for something like decorative paints it could be ~1.5x GDP growth rate. Even in this phase, there are some companies that can grow faster than industry average by winning market share or by acquiring competitors. This is primarily led by differentiation through consumer insights, innovation, value-for-money offerings, impactful branding or economies of scale leading to low-cost. During last decade, footwear industry has grown at ~15% per annum. However, Relaxo grew its sales at a compounded annual rate of 25%, how did Relaxo achieve this? Trendy Products: Keeping pulse of consumer preferences, Relaxo has been launching flip-flops and sandals that have been run-away success among youngsters. Branding & Distribution: In an industry- first, Relaxo roped in big celebrities like Akshay Kumar, Katrina Kaif and Salman Khan to endorse its brands. Relaxo has been spending 4-5% of its sales on branding (~Rs 50 Cr. ), contrast this with less than 1% by market leader Bata. They also focused on distribution and expanded rapidly from Northern India to rest of the country. Reasonable Pricing: In terms of Volume, at 16 crore pairs per annum Relaxo has the largest manufacturing capacity in India. This massive scale of operations leads to lower manufacturing cost per unit as compared to those of smaller factories. Keeping its own margin reasonable, Relaxo has driven many small and medium footwear companies out of business. Until 1980s the paints industry used to be a fragmented one with 100’s of small and mid-sized players. Among the key challenges, inventory management was a daunting and expensive task making supply chain very difficult. 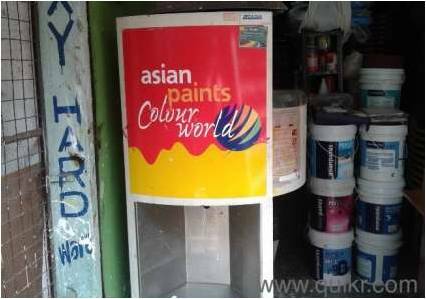 In 1990s, Asian Paints came up with a revolutionary development: Tinting machine; a computerized machine installed at dealer store which can prepare any shade on the spot. This innovation helped Asian Paints to get dealers on its side as they invested upfront to purchase the machine. It spent heavily on brand building to improve the brand pull further. It took its most iconic ad campaign of mischievous Gattu of 1970s to next level with ‘Har Ghar Kuch Kehta Hain’ (Every home says something about its owner). AP could now offer its customers a variety of 1,500+ shades, all prepared at point of sale through tinting machine. Soon, big competitors too followed installing tinting machine at dealers, however Asian Paints being the first had an early mover advantage. Over next two decades, Asian Paints grew its annual sales at a CAGR of 18+%. The result? Today 70% of Rs 30,000 Cr. industry is represented by organized players. Top five players command over 80% of the organized market, making it highly concentrated versus what it was in 1980’s. Asian Paints is leading with a whopping 30% market share. Presence or likelihood of a key trigger enabling migration to organised players – it could be introduction of GST removing price gap, or sustained and successful efforts by way of branding by organised players in driving out smaller players, or product innovation etc. Look for management team, which seems to understands this opportunity and is willing to bet big on it, even if that implies hurting profitability in the short term (capacity to suffer). Whether it is product innovation led by R&D and consumer surveys OR brand building and distribution expansion, all of it takes a fair amount of time before anything starts to yield results. Management has to have medium-long term vision to drive the company through this transition. This should be the most preferred hunting ground for any serious long term investor in India. We have so many billion dollar categories which are crowded with small regional players (50-75% market share of these unorganised players). Some of the these categories are promising and continue to grow at 10-15%, and if value migration plays out, the organized players can grow at 20-25% providing good opportunities for investors. For instance Pulses is annually a Rs 2 Lac Cr. market in India which is totally dominated by small players and kirana stores. With improving health-consciousness will more and more households prefer branded offerings? Similarly, there are many categories in buildings material space and food & beverages which are dominated by small regional players. When penetration levels are fairly high and majority market is captured by organized players, what could then drive the next trend? The third wave can be that of premiumization; companies that are focusing on encouraging people to trade-up and opt for premium offerings. Think about what Apple did to Mobile Handset industry in America and later world over with its I-phone. Within the crowded smart phone market led by Nokia and Blackberry, it focused on innovation and unique consumer insights which made people shell out so much more than the industry standard for a typical ‘smart phone’. I think from an Indian perspective, we are still far from this situation, as majority of the categories are either in Wave I or Wave II. This is more applicable to developed nations like US, where both the waves have played out to a great extent and incrementally some companies are trying to grow by focusing on premium offerings. Not all categories will follow the same life-cycle path and gradually move from Wave I to III. In fact many of these will die in Wave I itself, and hence this is the most risky to participate in. This risk is least in categories that serve some basic functional need (like FMCG or Footwear) but is maximum in technology companies. Think about Pagers, if someone had bet on it thinking it is in Wave I and the penetration will go up, this investment operation would have led to big losses as it died very soon. However, if qualitative insights are solid and it is a calculated risk, the rewards too are very handsome here. The risk is a lot lower if a category has made its way into Wave II, and despite lower risks return potential is healthy if right companies are backed. PS: This is just a thought process we follow when we analyze businesses. The framework may not be an exhaustive one and hence there could be some cases which will need a different perspective. Have included lots of case studies just to put forward the perspective in a simple manner. Disclaimer: The companies discussed above are just for understanding purpose and not recommendations to buy or sell. Well, it’s not that I believe brand loyalty is altogether dead; it clearly isn’t. As I said, most folks are picky about something—my assistant loves his Pradas; the kids in my town love their Hollisters. It’s just that brand loyalty seems to have become more elusive than ever. The phenomenon seems particularly apparent once you begin eliminating some of the flashier categories—fashion, shoes, accessories, etc.—around which people tend to focus their most high-profile consumption activity. Take these away, and you’re really not left with much loyalty at all, at least that I can observe. In fact, I would wager that for most people, the number of categories in which they feel no fidelity toward any particular brand far outnumbers the number of categories in which they do; I would also wager that the balance is tipping further with each passing day. There are literally dozens of brands competing for my affection in categories such as hotels and retail banking and energy bars, for example, and I feel loyalty to exactly zero of them. The teenagers in my town are bombarded with choices with respect to the kinds of juices they drink and the foods they eat, and the vast majority of these brands manage to garner a faddish passing interest at best. Thanks Anil for a long comment on my long post Well, glad you liked the post and also that you share a similar thought process. While investing in Wave I stories, most of the hard work has to be on the category and its potential. If we have spotted a category which is here to stay and grow, bulk of the job is done. Now the best way to participate is by being with the market leader – you get scale, first mover advantage as well as learning curve. The fundamental characteristic of Wave I is that the penetration levels are low; which implies a huge size of the market opportunity not only for incumbents but also for new entrants – this generally discourages pricing-led competition since everyone can grow along profitably. Having said that, the growth will never be linear and there will always be rough patches; category growth could slowdown temporarily and competitive intensity could go up effecting margins. We have to judge on an individual case to case basis on how market leader behaves during these testing times. There could ideally be two reactions – compete along and defend market share at the cost of margins OR protect margins even if that means letting go of market share with an assumption that competing firms would eventually run out of steam. Which one is the right behavior? Again depends on category dynamics. For example, in my post see how Colgate defended against Oral-B toothpaste launch.. it increased its ad spends from 15% to 18% of sales and also blocked back-to-back prime slots on TV. On the other hand, consider the case of edible oil, Fortune launched Rice Bran oil in 2013 and spent annually some ~50 Cr. on ASP; to put things into perspective Saffola + Sundrop (Duopoly in premium edible oil) put together spends annually ~25 Cr. on the category. In this case I did not see incumbents reacting in any major like increasing ASP spends or offering big bang discounts. And see what happened two years later – Fortune did create a buzz in year of launch but it all got fizzled out over next two years. So it did have deep pockets and it did spend heavily but could not even make a dent on the incumbents’ position. I understand penetration levels for both oral care and edible oil are fairly high now, but just shared this to illustrate the limited point of how market leader can react to competition in different ways (whether in Wave I or II). Finally, I believe though Wave I is highly rewarding but it carries significant amount of risks too. The most worrisome is not competition/margin contraction but obsolescence or misplaced confidence on the category potential. Very insightful! Can draw lot of thought proving areas to explore. Very very interesting analysis. Thoroughly enjoyed reading the stories. Its better to give such examples rather telling theoratically. I am sure it will add to processes of insightful analysts in hypothesis building.